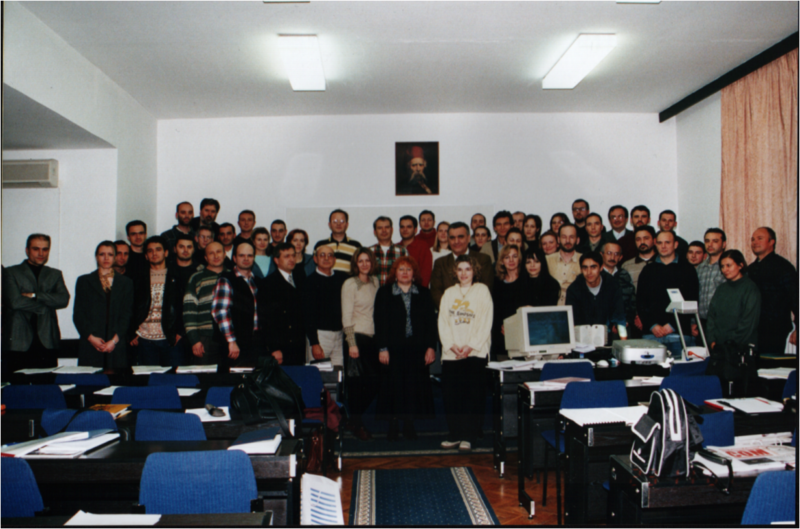 Department for e-business was founded on December 4th, 2013. at the Faculty of Organizational Sciences, University of Belgrade. Our vision is to become a leader in educational and research context in the areas of e-business, mobile development, cutting edge internet technologies, IoT, big data and computer simulations, as well as to be established as center of excellence among students, researchers and businesses. The Department for e-business aims to be widely recognized as a leader not only in Serbia, but in whole region and worldwide by attracting talented students, professional development of teaching staff and by enhancing cooperation with industry. Innovation in educational and scientific context is the main premise the teaching staff follow in their work. Accordingly, the Department of e-business is associated with concepts such as “the first Internet connection in Serbia”, ” the first e-business studies in Serbia and region”, ” The very first university cloud in Serbia”, “the first monography in Serbia in the field of cloud computing”, “the first IoT book and handbook in region”. Our teaching staff published numerous scientific research papers, and participated in several projects in collaboration with industry. Based on the research and development of research capacity in the field of ICT in the Republic of Serbia , funded by the European Commission, Department for e-business has been recognized as a center of excellence and shared second place with the Institute of Physics . Head of the Department for e-business is Zorica Bogdanović, associate professor. As a support to the educational process, Department of e-business has established cloud computing infrastructure, where different services are provided for students and teachers. Courses are conducted using blended learning, i.e. combination of traditional and distance learning, hosted on Moodle learning management system. 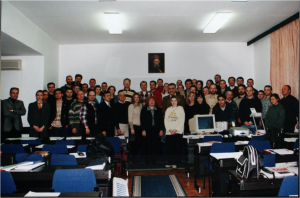 First postgraduate studies in area of e-business in Serbia and region, as well as among first worldwide, were conducted in 2001. by Department for e-business.